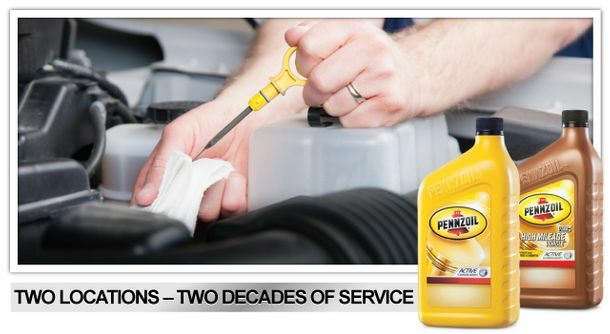 At Pennzoil 10 Minute Oil Change Centre, our drive through oil change experience exceeds all expectations. With over two decades in the business, we instill confidence and comfort to our customers who know they will receive the best service and a professional job every time. We only use the best parts that meet or exceed your vehicle manufacturer and dealership’s requirements. We like to build genuine relationships with our customers at both of our locations. We build these relationships through great service, experienced technicians, honesty, and trust. 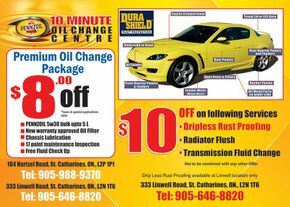 At Pennzoil 10 Minute Oil Change Centre, we always put you first! Quick, easy, and convenient oil changes are our specialty. At Pennzoil 10 Minute Oil Change Centre, appointments are not necessary, and all parts that we use are approved by your warranty. Don’t worry about working around your busy schedule for an oil change: just drive on in and we will have you back on the road in minutes! 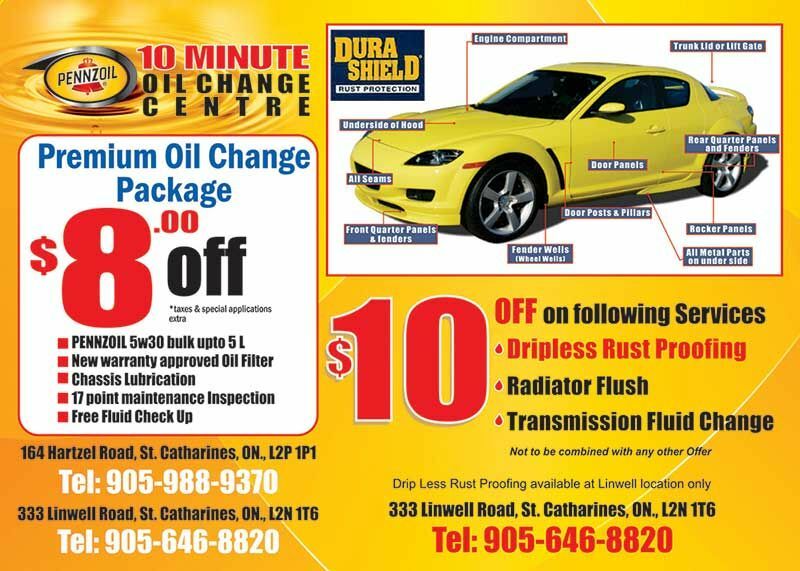 Find Pennzoil 10 Minute Oil Change Centre at two convenient locations in St. Catharines. We have locations on 164 Hartzel Road and 333 Linwell Road to make sure that we are always close by. Motorcycle Oil Changes Now Available! Pennzoil 10 Minute Oil Change is proud to announce that we will be performing oil changes and service on motorcycles at our 164 Hartzel Rd. Location! Call before August 1st, 2016 and take advantage of our introductory price of only $59.99 for conventional oil or $79.99 for synthetic oil! Our Motorcycle Oil Change package includes up to 3 litres of Lucas oil and most oil filters! We also offer primary chain case and transmission fluid change for $149.99. Change all three fluids for as low as $199.99. Hurry in before August 1st to take advantage of these low introductory prices! Call us today for more information! We offer a variety of specials from coupons to seasonal packages to help you save a bundle at Pennzoil 10 Minute Oil Change Centre. Check back frequently to see what’s new with our special offers.